This introduction to the law of the Church is intended for those approaching the subject for the first time. This book presents a panorama of Western canon law and is intended to assist in the study of juridical texts such as the Code of Canon Law. 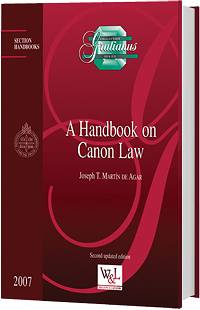 A Handbook on Canon Law follows the structure of the Code of Canon Law, with references to texts from the Second Vatican Council, the Holy See, and national bishops' conferences. It includes a basic bibliography of additional canonical resources.